I’m sitting here eating a PBJ. For those not in the know, a PBJ is a peanut butter and jelly sandwich. It’s one of the simplest sandwiches to make. Take two pieces of bread and slather peanut butter on one side and your favorite jelly or jam or preserve on the other side and put them together. Voila! A great sandwich with all the components of a healthy meal. When I lived on my own for a few years, many times when I got home late, or was just too tired to cook, PBJ was my go to meal. Last night, I watched a cooking show that created a gourmet cake involving well over a dozen different steps. It boiled down to a chocolate cake with fudge frosting, but it took hours to get there. It looked delicious, and extravagant, but no more delicious than the chocolate cake I make from scratch in just minutes. I’ve seen meals that took hours to prepare and were over in the same amount of time I ate my PBJs. So the question is, which is better? For my money, the simpler the better. But the major caveat is it has to be GOOD! Years ago, one of the major mac and cheese manufacturers developed an “instant” bowl of mac and cheese. Being such a fan, I bought one immediately and it was awful. It was simple, just add hot water and microwave for a few seconds. But it tasted like trash. On the other hand, I know of a Wild Rice Soup mix where you add it to 8 cups of boiling water and simmer for ten minutes and it’s ambrosia, the food of the gods! I sometimes add some chicken chunks and mushrooms to it, but mostly just eat it plain. Other people must feel the same way because there are a growing number of television shows and cookbooks on the theme. Ten Ingredients and Less; Meals Under $10; The Five Ingredient Cookbook. With time constraints and budget concerns facing every home cook, the challenge to feed the family, even just yourself, can seem almost insurmountable. Every cook answers that challenge in their own way, but many are going for simple meals that are quick and easy. Years ago, I used to have one of those major monster juicers. This thing was so powerful, it could make juice out of wood. It used a grinding technique. You put the thing you were juicing into the top, and juice flowed out a spout in the front. Beneath it was a hopper that collected all the pulp. I used to juice ripe tomatoes and add the pulp to sautéed onions and garlic, heating it just lightly. I’d toss angel hair pasta into that and have a simple meal in about ten minutes. If I wanted garlic toast, it would take twice as long. Nowadays I can mimic the same meal by either chopping the tomatoes very small, or putting them in a blender for a very short period. Another simple go to meal for us is grilled animal flesh and fresh salad. Usually it’s steak cuz we’re the worst vegetarians on the planet. But, if we’re in a different mood, or don’t have a steak at hand, we also grill chicken, pork, sausages, etc. In the heat of an Arizona summer, cooking outside is always a good idea, but a cool, fresh tossed salad paired with the grilled whatever is wonderful. Sometimes we’ll use salad kits and other times we’ll use whatever fresh veggies we have on hand. For the grilling, sometimes we’ll go simple with no seasonings, and other times we’ll marinate them for an hour or so, experimenting with flavors. Another favorite simple meal is tossed pasta in a simple sauce. Usually the simple sauce is olive oil and garlic. But that’s a base to build on. Throw one tablespoon of olive oil per serving of pasta into a wide pan and heat over VERY low heat. Add minced garlic to taste and allow the flavor of the garlic to infuse the oil. That’s it. When the pasta is done, use a basket scoop and drain the pasta over the pan it was cooked in. Add the wet pasta to the oil and toss to mix. Serve hot or warm. Sometimes I put parmesan over it. That base can be used for all kinds of stuff. Add lemon to it. Or add vinegar and chopped tomatoes. Add fresh basil. Add onions or shallots. Add chopped leeks. Add ginger. Use different pasta lengths and shapes. One important step is adding the wet pasta to the warm oil. The starches in the pasta will act as a binder for the sauce. One nice thing about simple meals that taste good is that they nearly always impress people. Most people will taste the simplicity in the flavors and think you’ve cooked for hours to achieve that balance. One of those simple recipes is Fettuccini Carbonara. It’s so easy, but you do have to have all your ingredients ready ahead of time and serve it immediately. Here’s what I do. I take one egg for every serving of pasta and whisk it in a large bowl. I add a quarter cup of grated parmesan cheese per serving and mix them together. I set the fettuccini to boiling. Since fettuccini is thicker, it takes longer to cook. While the pasta is cooking, I chop two slices of bacon per serving and cook it to crispy in a large pan. When the bacon is done, I drain it and add 1-2 tablespoons of olive oil. I heat the olive oil and add garlic and shallots if I want them. When the pasta is done, I use a wire basket to strain it and add the wet pasta directly to the olive oil. I coat the pasta evenly and dump all the pasta, oil, bacon, and garlic etc. to the large bowl with the egg and cheese. I very quickly start tossing the pasta throughout the egg mixture. The residual heat will cook the egg and cheese to the point that a nice flavorful sauce develops. The bacon and garlic flavor permeates the sauce. I sprinkle parsley or basil over the top and serve it hot. See? Simple. But people are so impressed by it. Enjoy! Today’s post comes from our guest blogger, Mary P. Mary has written guest posts for the blog a couple of times in the past. Her posts have always been well received. She’s funny, insightful, and brings a different spin to the food world than I do. She’s a mom with two boys, pets, a husband, and a garden, as well as a full time job. On to the post! As a home cook, I try to stretch myself beyond the typical staples of American family fare. My kids have an extremely varied diet and are used to having to trying Mommy’s latest foray into something exotic or difficult. My family will always try it, but the results are mixed. Understandably. Lately, I’ve been craving foods from my childhood. I think it’s the very warm weather. My father spent many years stationed in Puerto Rico and we lived in San Juan. Puerto Rican food, for me, is a comfort food. Roast pork, rice and beans done Rican style, guava-based pastries, and plantains done a thousand ways…these are things I remember fondly and often miss. This weekend I decided I needed guava cake. I didn’t care what everyone else’s opinion was on dessert (and the previous week’s chocolate mint French macaroons were gone). I needed that taste of childhood and I needed it now. The problem is, guava paste comes in a large brick and I only needed half of it for my cake. Even after my husband was eating slices of guava paste like they were strawberry fruit leather, I had a lot to use and I don’t like leaving half a package of something I use rarely open. I went on a hunt for a guava paste recipe that I could make with what I have left. I found something that was soufflé-ish. It’s a Brazilian dish called Romeo and Juliet. The recipe I found has minimal ingredients and may not be ethnically correct, but it was very simple to follow and, most importantly, used up the other half of the guava paste. 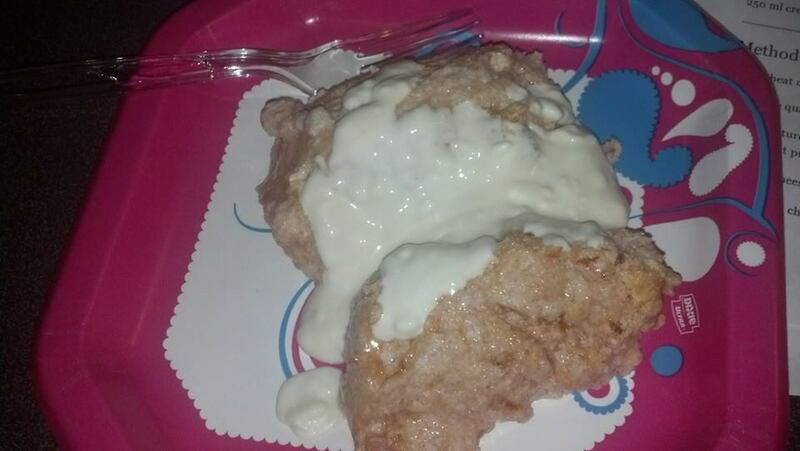 It came out perfectly, but is a bit unusual for those used to typical American desserts. It is not very sweet and is extremely tart. It is light, yet rich. 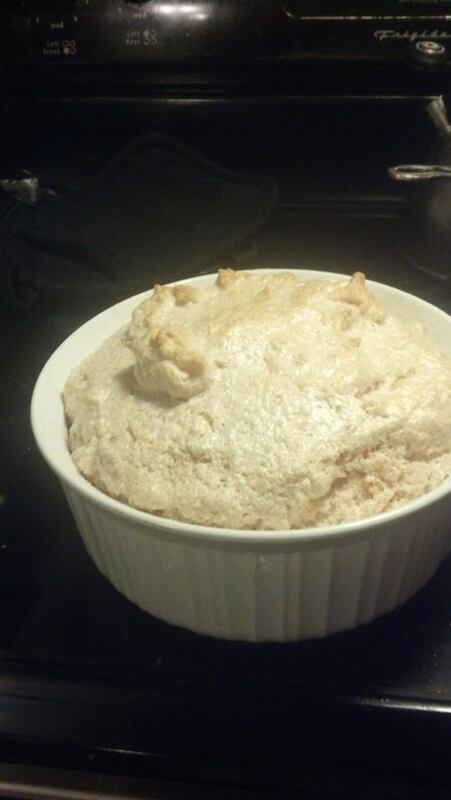 It also wasn’t baked in the way I normally would a soufflé, but it worked none the less. Even with jumping, screaming children it did not fall. However, the kids didn’t like it and my husband found it weird yet simultaneously addictive. Pre-heat the oven to 250 F. Coat a soufflé dish with butter and sugar. Melt the guava paste in the microwave (2 minutes/ 20% power). Beat the egg whites until they form stiff peaks. Fold in the melted guava paste till well combined. Transfer to the soufflé dish and bake for 30 minutes or until the soufflé rises past the edge of the dish and the peaks begin to toast. In a small pot, combine the cream and cheese. Under low heat, melt them together to form a sauce. Serve pieces of soufflé covered in sauce. 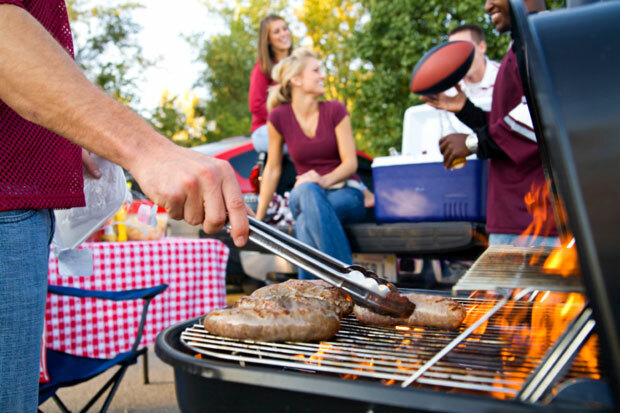 So, what makes a great barbeque, cookout, picnic, or outdoor eating experience? Well, there are really only three components to a successful gathering of any kind. Food, People, and Place. When you get them right, you can’t help but have a good time. Having the right people around is always a gamble. You want to have the right mix. Recently, I was at a graduation cookout and was introduced to a young woman. We started talking, laughing, and before long we discovered several common interests. Then I heard my sister-in-law saying, “I knew all I’d have to do is get you two sitting next to each other.” That’s the perfect mix of people. I’ve also been at gatherings where everyone interacted only with those few people they knew and everyone stood around in very small groups and the only thing that could be heard was the metaphorical crickets. So how do you know who the right people are? You don’t. You just have to try and see what develops. The place can be anywhere. A back yard, a park, a hired hall. Whatever you choose, you need to make it as comfortable as possible. There needs to be convenient and comfortable seating. There needs to be plenty of room for the number of people and the amount of food. Above all, there needs to be a fall back place in case of inclement weather. Finally, the food has to be good stuff. You have to have a mix of things that all people can enjoy. 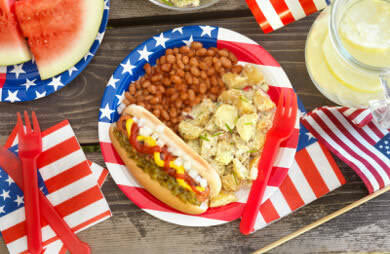 Burgers and dogs are a traditional mix during our summer gatherings, but we always have veggie trays and salads for the unknown vegetarians amongst us. Food can be as elaborate as you want, but remember that as the host, you want to have fun, too. Don’t make the food so complex that you end up focusing on that and not your guests. The food should be good, and the lowest common denominator possible. It doesn’t make sense to serve caviar to a bunch of people who have never had it before. Snails are out of the question. Unless, like me, you know how to cook them and really enjoy them. Most people don’t, so I seldom cook them for gatherings. Above all, as host, have a good time. That’s essential. If something doesn’t work, don’t worry about. Most people won’t know anyway. Julia always said “Be fearless!” If you make a mistake, the only person who will know is you. If you never admit it, it’s not a mistake. 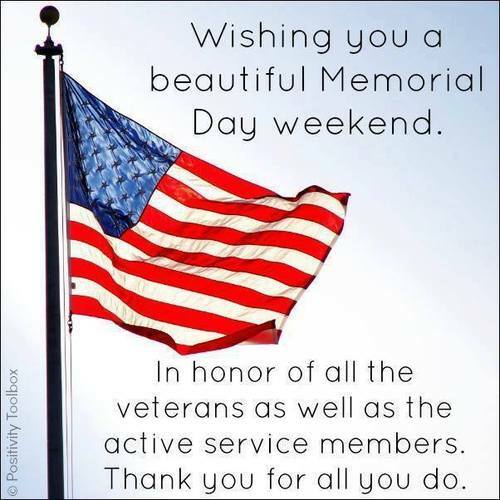 Post # 257 Happy Memorial Day! 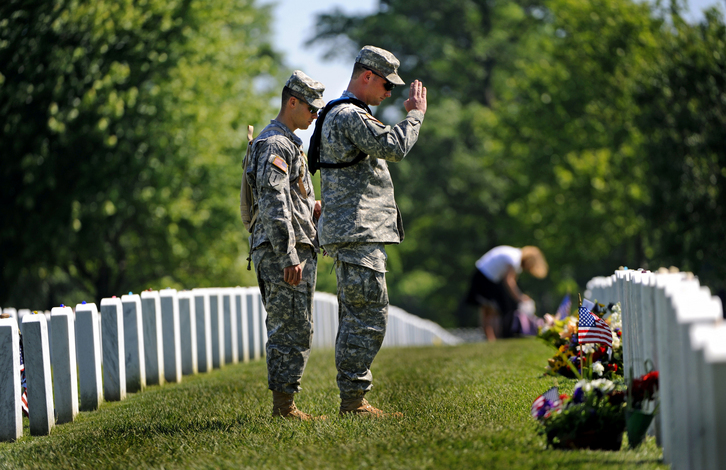 Here in the States, it’s Memorial Day, a day set aside to remember the soldiers who fell protecting our country. My first memories of this holiday were from New York. We lived in a small town so holidays were a big deal. I was in the cub scouts at the time so I got to march in the parade! Then after the parade, there was a big picnic in one of the local parks. There were tons of people, games, sporting events, and food as far as the eyes could see. For little kids, it was a Bacchanalian delight. 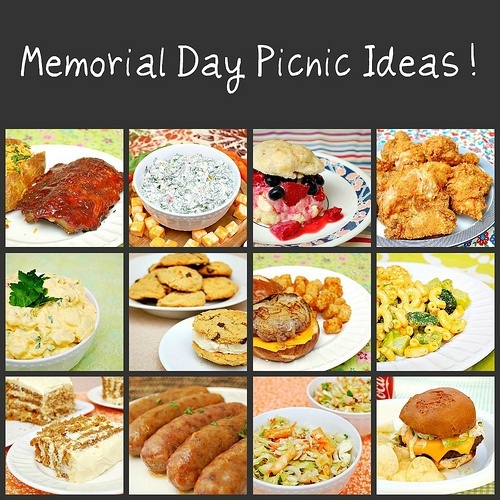 Now a picnic and food is a wonderful way to celebrate any holiday. But I think it’s important for this holiday to remember what the holiday is about. My dad was a Marine for over 20 years. 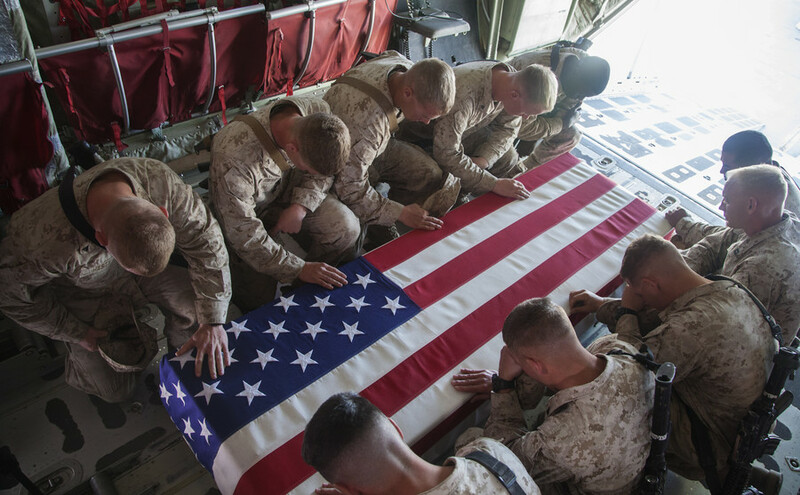 Every time he was deployed somewhere, we worried every minute of every day. One of our best family friends lost his dad in Viet Nam and I still remember the funeral and 21 gun salute. It made the next Memorial Day picnic more poignant. 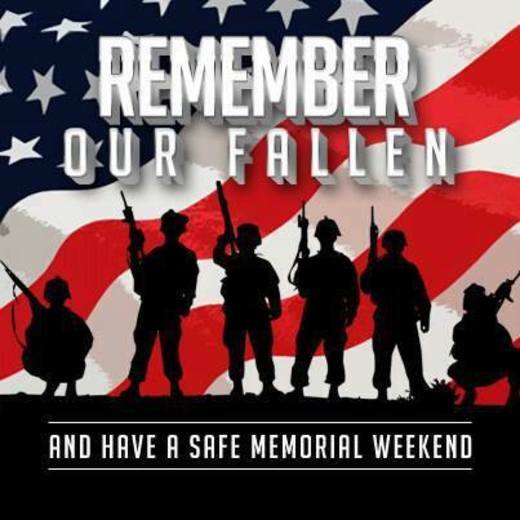 This Memorial Day, please have a very good time. 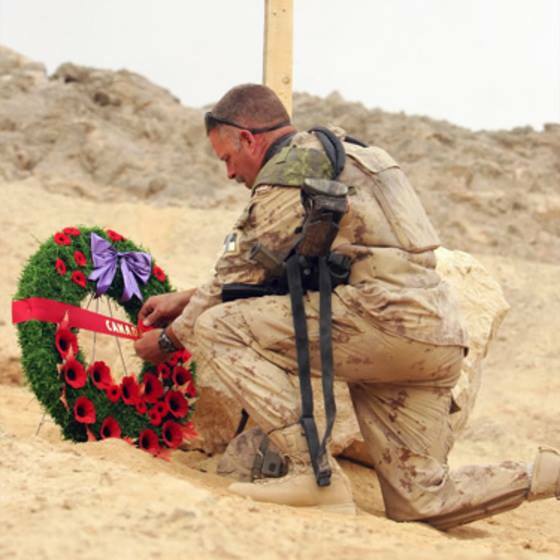 But remember what this weekend is about and say “Thank you” to a veteran who was able to come home. A few nights ago, the Partner/Spouse and I were talking with my sister over a glass of wine. She was telling us about a cruise she’d been on a few years ago. As usually happens with us, the conversation moved to food and she was describing the elaborate meals, service, and wine. But she laughed about the server not understanding that she didn’t want dessert. He made certain that she understood that it came with the meal, while she was trying to make him understand that another glass of wine would be her dessert. My sister is very aware of calories and prefers a glass of wine to a slice of cake. When the server came back with the desserts, he handed everyone their selection then turned to my sister. He had a glass of wine and a small plate. With great flourish and a certain amount of smugness, he presented her the small plate with two berries amid a swirl of chocolate sauce. Two small bites with chocolate. My sister laughed and thanked him. He made sure every night after that to have her two berries and chocolate sauce when everyone else was having dessert. She loves consideration like that. It made me think a lot. For us, dessert has always been a baked good, and chocolate usually features prominently in it, although not always. Last night, we had Angel Food cake with fresh raspberries, chocolate sauce, and whipped cream. It was good, but very filling. Since we’d only had the Big Salad for dinner, a filling dessert was okay. But dessert doesn’t have to be that. Dessert, at the end of the meal, should be a part of the whole meal and should be the logical end and complement to the meal. For instance, let’s say you’re eating a meal of ribeye steak of about 3/4 pound to one pound, with a baked potato on the side, a vegetable mix (salad or cooked), a roll or two, and drinks. That’s a lot of food, and a lot of calories. When I have that meal, I’m so full by the end of it that I’m reduced to very small sips of wine, and dessert is out of the question. But if I were going to have a dessert, I’d want something light and something that wouldn’t sit like a labrador on top of that meal. So, if I were going to have a dessert, I’d choose a mousse, either chocolate or fruit based. Fruit often ends a meal in formal situations. Whatever is currently thriving can be turned into a great dessert. I don’t typically eat a lot of fruit by itself because I find it to be too sweet. I know that sounds odd coming from the guy who thinks chocolate is a food group to be eaten daily, if not every meal. There is some fruit that I eat all the time because it’s so dam good. Watermelon is one; banana is another. I’ll eat cherries in nearly any form whenever I can get them. (When I was a kid, I used to eat the cans of Comstock Pie Filling in cherry whenever mom had them in the cupboard. She’d get really mad at me, too.) A small bowl of fresh fruit, naturally sweet and/or tart, with a simple sauce can be an amazing finish to a heavy meal. Conversely, when you have a light meal, you can finish it off with a heavier dessert. For instance, last night we had Big Salad night. It was a huge bowl (I really mean huge. It holds four or five gallons of stuff) FULL of cut vegetables of nearly every kind, with some sunflower seeds, some cheddar cheese, some real bacon bits, and a couple of different fresh herbs from my garden with a very light champagne vinaigrette tossed over all and croutons on top. It was light, cool, healthy, and delicious. Any dessert could end this meal perfectly, except fruit. Fruit would not complement the vegetables as an ending. Even a light mousse of any kind would feel unsatisfactory since it would leave you feeling like you wanted more. Any kind of a baked good, cake, pie, a parfait with pound cake in it, etc. would be excellent. A cooked pudding, whether something substantial like a break pudding, or a little lighter like a milk or cream pudding would be good, too. Custard would wonderful. A bowl of ice cream with a berry sauce, or berry sauce and chocolate sauce would be a real treat. Desserts can be as simple or complex as you choose to make them. Some higher end restaurants will use candied flower petals to decorate their desserts. I use sugar sprinkles to decorate mine. I tend more towards the simplistic than the complex. But that’s just me. One dessert sauce that I make fairly often is raspberry sauce. It’s a good, colorful, sweet and tangy sauce. You can follow this technique with pretty much any berry, you just have to be certain they’re ripe, and the pieces are small and easily breakable. Take one cup of raspberries at room temperature and put them in a fine mesh wire strainer over a bowl. Use a strong spoon of any material, just be aware that this will stain a wooden spoon and it will never lose that stain. Mash the berries into the strainer using the back of the spoon. Keep mashing them. As the berries liquefy, more juice will flow through the strainer. Stir the pulp around and keep mashing until you’re left with nothing but seeds in the strainer. The bowl will have slightly less than a cup of bright red tart juice. It can be used just like that, or you can add sugar to it. Some people add half as much sugar as juice, but I think you should add sugar one tablespoon at a time until it gets to the sweetness you like. Stir the sugar to make certain it’s dissolved into the juice. You don’t want a gritty raspberry sauce. Everyone will think it’s the seeds. Once it’s done, you can chill it in the bowl and serve with any dessert. Alternatively, you can pour it into a squeeze bottle and make sweet decorations on your dessert plates, or on the dessert itself. It will keep for a couple of weeks in the fridge, but I’ve never had it last that long. I used to travel with a young lady who had a unique philosophy on life. She always said, “Life is short. Eat dessert first.” There’s some sense to that.